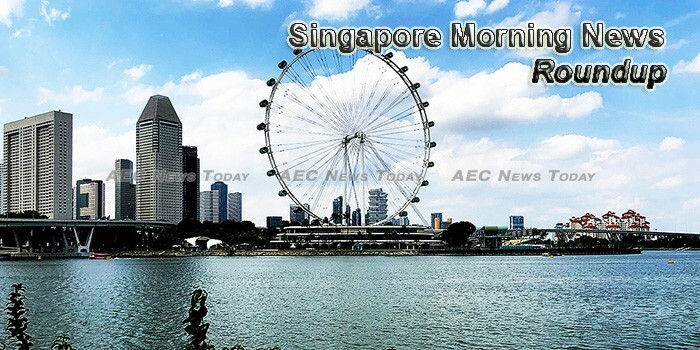 The US and North Korean leaders are likely to meet in Singapore in mid-June, according to South Korean media reports, as tensions ease on the Korean peninsula following the first inter-Korean summit in over a decade. Singapore is recognised as an exceptionally expensive city, especially when it comes to price of cars and properties. The Monetary Authority of Singapore (MAS) has advised consumers to “exercise utmost caution” when dealing with emails requesting for sensitive information associated with their bank accounts. The National University of Singapore (NUS) announced that NUS Associate Professor Massimo Alioto and his team of engineers have invented a new smart microchip that can self-start and continue to operate even when the battery runs out of energy. Missed your flight from Kuala Lumpur to Singapore? Don’t fret — another plane isn’t far behind. A commercial diver has been missing at sea since Saturday and Maritime authorities have not ceased their search since. Talent will play an increasingly important part in directing Singapore’s next phase of growth to become an innovation-driven economy, Trade and Industry Minister Chan Chun Sing said yesterday. Only 40 live kidney transplants were performed last year and this is worrying, says the National Kidney Foundation, given that five new cases of kidney failure emerge every day. Singapore government-owned sovereign fund Temasek Holdings Pvt. Ltd plans to acquire a significant minority stake in digital payments platform Pine Labs for $350-400 million, two people aware of the development said. So you’re thinking of visiting Singapore, but you can’t help but cringe at the prices, which look astronomical next to those in neighbouring countries like Malaysia, Thailand and Indonesia. Four in five Singapore households are motivated to save energy if they can save money, according to a 2017 National Environment Agency (NEA) study released on Saturday (May 5). The Singapore Business Council in Qatar (SBCQ) was launched at the Singapore Embassy in Qatar under the patronage of Singapore ambassador Jai S Sohan. The IMDA accredited company’s solution will enable cities to operate and manage themselves seamlessly, from enforcing security to ensuring power stability as well as maintaining and automating services and infrastructure. President Halimah Yacob will deliver her inaugural address tonight and set out the Government’s priorities and plans for the remainder of the current term of office. What can Pakistan learn from Singapore? It’s my third year in Singapore and every day I witness and appreciate the achievements of this small city-state and ponder what could policymakers in Pakistan learn from the success of this country. Music sales in Singapore have continued to climb, achieving the highest numbers in over half a decade – despite listeners increasingly opting not to buy music. With Uber set to leave Singapore for good on Monday (May 7), new players are already eager to fill up the space it leaves behind. But in an increasingly cut-throat industry, what will it take for them to survive? THE five largest office real estate investment trusts (Reits) on the local bourse with assets in Singapore have brought home an average negative total return of 3.2 per cent year-to-date as of May 3. The feeding of wild animals and birds could soon be banned here, should Member of Parliament (MP) Louis Ng’s tentative proposed amendments to the Wild Animals and Birds Act be passed in Parliament. New foreign domestic workers will be able to opt for a membership card offering mobile, transport and e-banking deals and services from September, the Centre for Domestic Employees announced on Sunday (May 6). THE stacking pile of distressed debt in South-east Asia could lure more private investors to circle the region for alternative assets, consultants told The Business Times. For more than a month, a 36-year-old South Korean man allegedly went on a cheating spree in Singapore, looting more than 60 Apple products and other electronic devices worth close to S$100,000 by using bogus email addresses and fake identities. The changes will boost the public’s confidence and encourage them to make use of services involving the use of drones, says one industry player. Three people who lived in a dengue cluster at Jurong West — the largest so far this year — have died in the past three weeks, the Ministry of Health (MOH) and the National Environment Agency (NEA) said in a press release on Saturday (May 5).